If you’re looking for a neat, honest, professional, and affordable contractor, then Cutting Edge painting is the right company for you. Cutting Edge Painting was founded in 2009 when the owner Jeremy Hooks decided it was time to go out on his own after 7 years of industry experience. As your painting contractor, we will guarantee each paint job is executed with precision and excellence. We offer not only interior and exterior painting, but drywall repair and pressure washing services. From residential to commercial painting, we will have your needs covered. 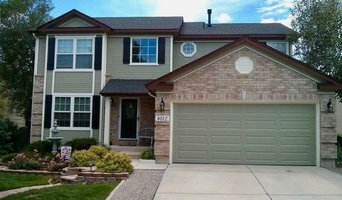 Cutting Edge Painting in Colorado Springs, CO is licensed and insured for your peace of mind and full security. We have also been a member of the Better Business Bureau of Southern Colorado since 2011 with an A+ rating. Contact Cutting Edge Painting in Colorado Springs, CO at 719-231-9668 to schedule your upcoming painting appointment with our qualified professionals. Our recipe for success is to work collectively to deliver impressive craftsmanship! 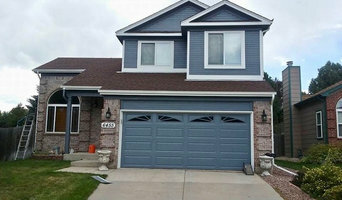 We are a locally owned painting company in Colorado Springs that has been painting hundreds of homes since 2009! At CertaPro Painters, our reputation is based on Certainty — your Certainty of a job well done. We focus on the details of every project — interior and exterior — and we focus on you, our client. We recognize that home and business painting is not an everyday occurrence for you. There is education and preparation that needs to occur to ensure your project goes smoothly and according to your expectations. We do this through a process of communication and education so we can co-create the best possible painting experience with you. 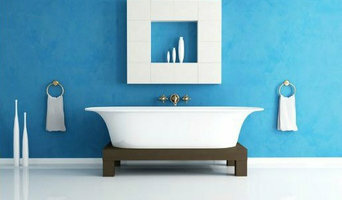 Your Colorado Springs Residential & Commercial Painting Specialists. 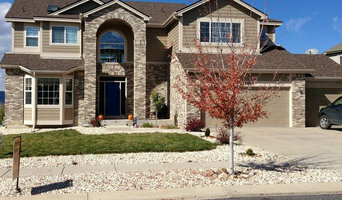 Five Star Painting of Colorado Springs is here to help you add new life to your home or business. From interior and exterior paint to popcorn removal and drywall repair, we can help your property get a true facelift. Whether you need a basic paint job or want to do a total transformation with drywall installation and full texture services, our team of qualified professionals is ready to get the job done. Our professional painters are focused on delivering five star quality without the five star price—keeping your project reasonable and affordable. Start with an 100% free estimate today. As experts in residential interior and exterior house painting, the team at Tall Pines Painting strives to deliver great results and a worry-free experience for homeowners who take pride in their homes. We’re different than typical house painters. We don't paint hundreds of homes in a year, and we aren't the biggest painting company in Denver. We prefer to focus on personal service and quality — rather than quantity. Tall Pines Painting was founded in January 2005 in Evergreen, Colorado. While our office is now located in Golden, Colorado, we continue to proudly serve homeowners in Evergreen and other communities in the foothills, as well as metro Denver. We’re a small painting team that is highly selective of its team members. In addition to being talented painters, our team members are polite, friendly and wear uniforms. They don’t play loud music, smoke, or use inappropriate language. By putting such care into choosing our team members, we’re able to consistently deliver high-quality results and a professional experience to each of our customers. We also offer a color consulting service through our certified architectural color consultant, Kelly Paulson. 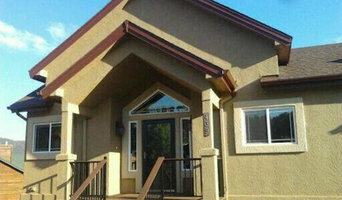 Patriot Painting Professionals, Inc. is Denver's most awarded name in painting. Our goal for your home goes beyond simply painting your house beautifully. We want you to be ecstatic with our work. And we also care about the best interest of the house and paint job as well. That's why we offer free color design services by a professional designer. That's why your project stays open for 3 months after completion. And that's why we offer the longest and most comprehensive warranties in the industry. In metro Denver there's only one painting company that will assure the best paint job, the best service, and the best protection every time. Out commitment to painting excellence is reflected in our numerous quality awards (more than any other painting company in Denver) and our A+ Rating with the Denver/Boulder BBB. We invite you to visit the Buzz page of our website for more information. The Best Interior Painters in Colorado Springs - Professional House Painting with Free Estimates, offering Residential and Office Contractor Services For Monument, Woodland Park, and the Colorado Springs area.